What I have: 17x8 Rotiform NUE +30 (5x100 bolt pattern) with 205/40/17 Nitto Neogen tires. The tires have one season on them, still lots of life. The rims are in great condition, no curbage or major scratches. What I want: 16'' or 17'' rims of similar width as the Rotiforms. Must have good tires, with no skinny stretched tire happening. These are going on a VRT. I am not sure if 16's fit over the brakes so i would have to test fit. 16" wheels fit over the TT brakes on that car, The previous owner had my 16" volk meshies on the car for a trip to leavenworth. I have some 16x9" schmidt modernline wheels that will be availible/for sale in spring if you haven't picked up new wheels by then. Good to know. 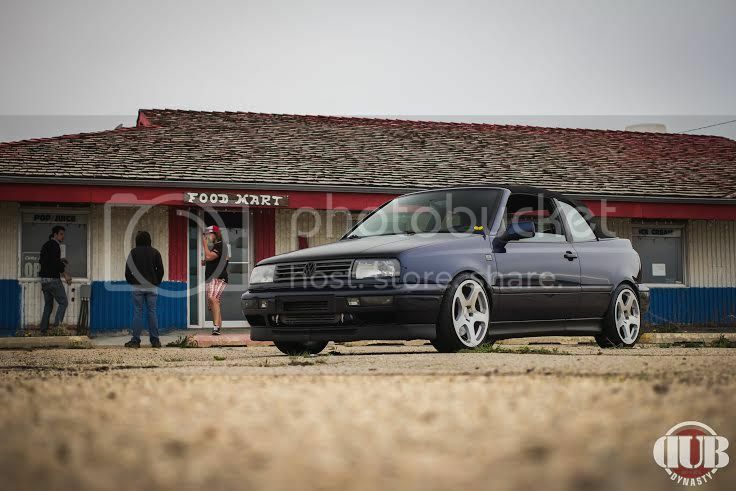 I prefer 16's on my MK3's. Thanks for letting me know. I would, but the cabrio is 5x100. These will most likely be for sale in the spring (without tires) if anyone is interested.